Scout Trout College Football Recruiting 2019 Elite Linebackers Scouting Database features top recruits at College Football Today recruits rankings and College Football Today All-American Recruits. 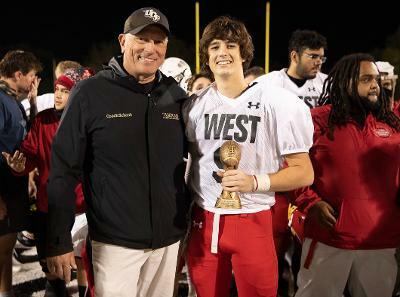 ​Jimmy will be a huge success at the next level, as he is a very versatile athlete, with the skill-set that Scout Trout and most college football coaches covet, on their football team. When it is all said and done, Jimmy will prove the nay-sayers wrong and rise up to be a intricate part of any college football teams schematics. Jimmy is officially our Scout Trout Most Coach-able Savage of the year for the Class of 2019, as it was a very easy decision, based on the improvements he has made in his combine numbers alone. 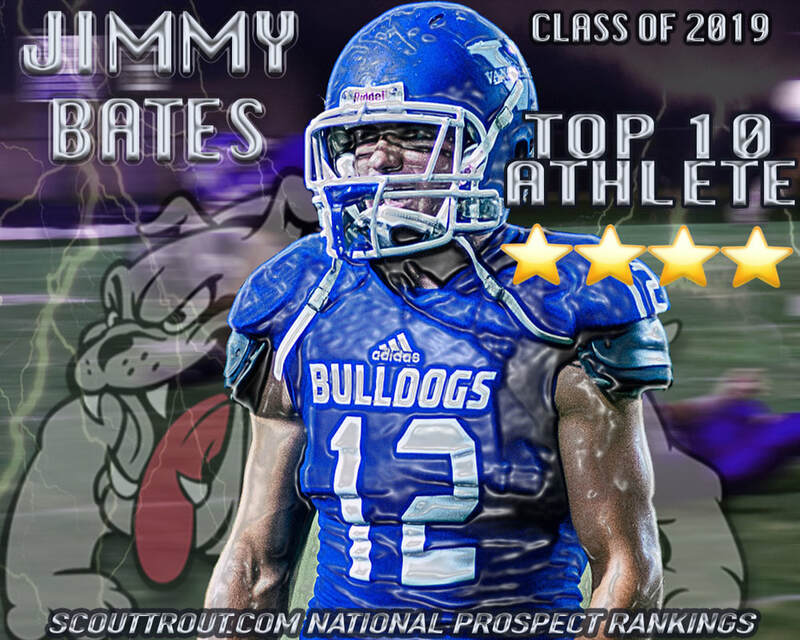 Jimmy is destined for a great Scout Trout All-American Bowl and also for his senior year, at Vancleave HS in Mississippi! Winner of "Most Coach-able Savage Award"
Want a scouting profile like this? Click here. 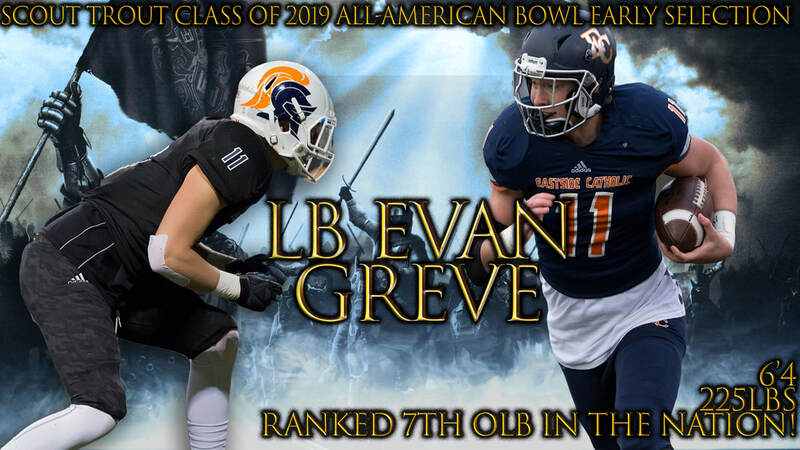 Player Notes - Evan Greve can be utilized in a variety of ways at the next level and is a very dynamic hybrid linebacker. 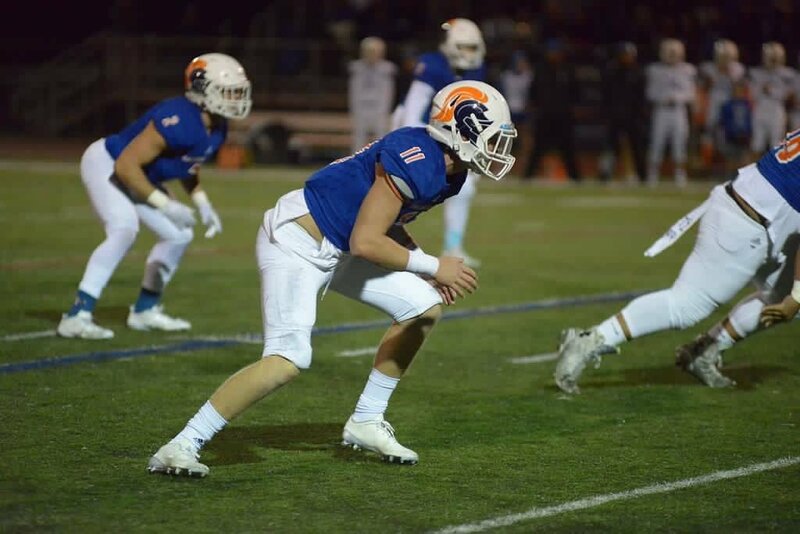 Greve proves to be a very keen defender in the passing game and has caught the eye of Boise State, Arizona, Air Force, Utah State and other D1 Programs with his stellar overall body of work, on and off the field. Greve has accepted his invite, as a Scout Trout All-American and is ready to dominate in 2018! 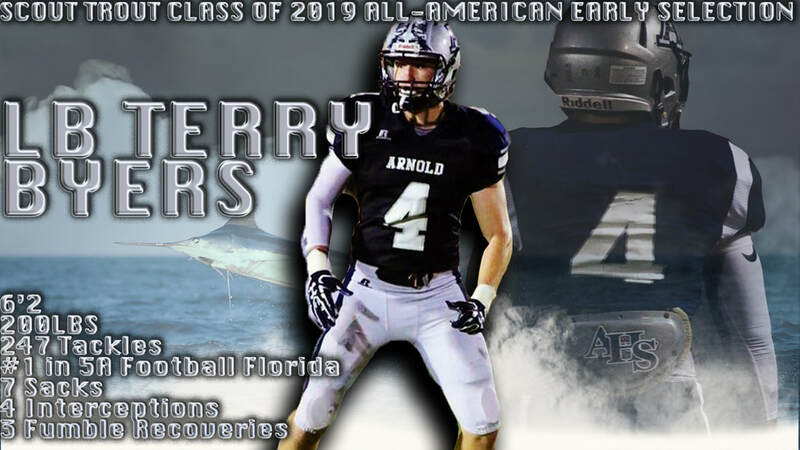 Terry Byers has accepted his Scout Trout Class of 2019 All-American nomination and we are extremely excited to have this phenomenal linebacker on our roster. 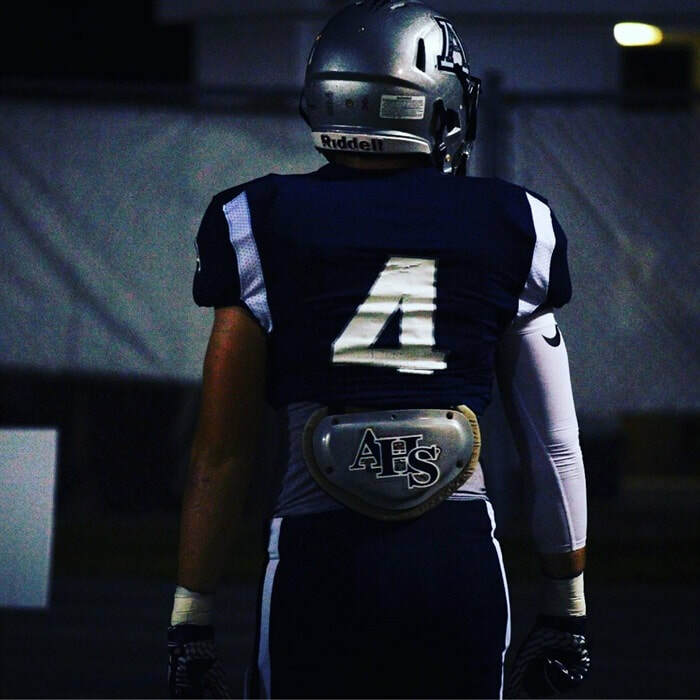 Byers led 5A football in the State of Florida in tackles and shows excellent lateral movement in being able to cover sideline to sideline. ​Byers possesses a very high football IQ and has all of the tools to one day be just as good or better than Brain Urlacher, as his game portrays many similarities and is why he comes in at our #15 rated prospect on our Top 100. Player Notes - I spoke about Clay on Scout Trout radio and this Top 50 overall prospect has been clocked at a 4.34, in the 40 yard dash. His athletics can visibly be seen on tape, as this young phenom covers ground quicker than any player I have seen on tape. He has accepted his invite as a Scout Trout All-American and we cannot wait to see him buzz around the field this season in Kentucky! Scout Trout College Football Recruiting 2020 Elite Linebacker Recruits Scouting Database features top recruits at College Football Today recruits rankings and College Football Today All-American Recruits. Player Notes - Means is a terrific linebacker prospect out of Navarro High in the great Football State of Texas. He recently was timed at Baylor running a impressive 4.6, 40 yard dash and is able to scour sideline to sideline with supreme athletic prowess and grit. With a extremely high motor and great football instincts, our newest Scout Trout All-American LB is primed for the 2017 season. The report out of Baylor camp have this young man rated very highly across the board! 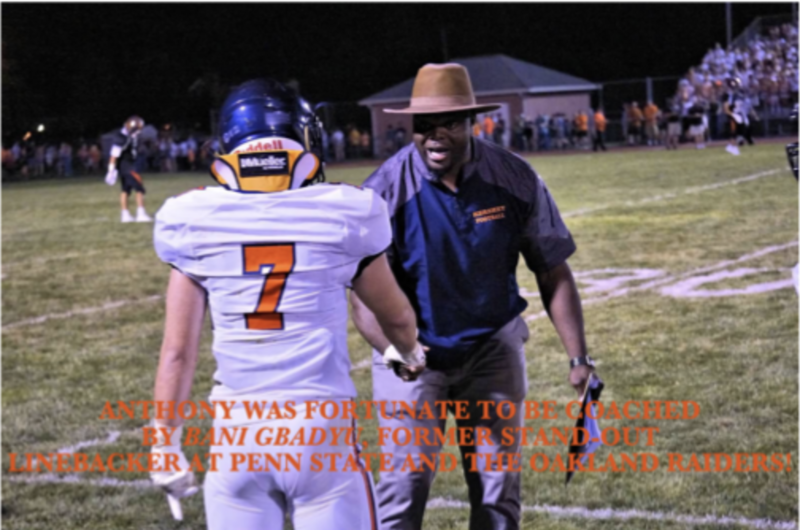 Player Notes - I could write a tutorial on how to play the LB position with Anthony Zimmerman's Class of 2020 highlight reel. When you watch this leading tackler attack the football and diagnose plays instantly, while creating havoc on Special Teams. You certainly are able to see the same football attributes that were able to help Troy Polamalu be a pro bowl free safety for the Pittsburgh Steelers. This kid is going to be a big time prospect going into his junior football campaign and has accepted his Scout Trout Class of 2020 All-American Bowl invite. Attended Junior Day invite at University of Pennsylvania, after standout junior season and playing with a broken hand. 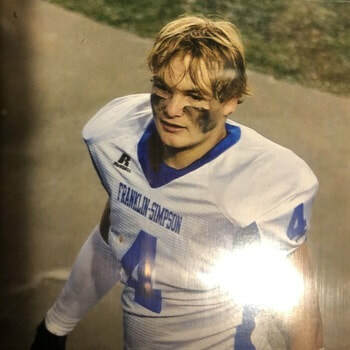 Player Notes - 2020 LB Connor Rogers is a extremely gifted and athletic young man at the linebacker position. When you flip on Connor's tape, you will witness a high intensity linebacker who reads his keys very well. Rogers is also a physical player and one of the hardest working recruits when it comes to studying the game of football, as well as his training. 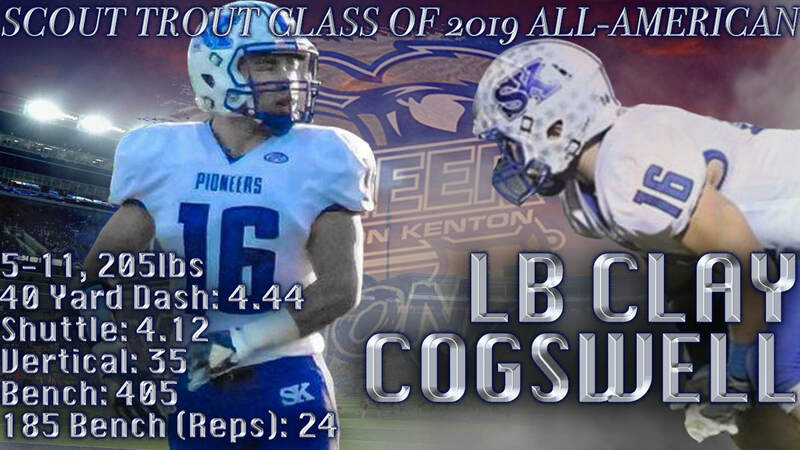 Connor fits well in multiple college football defensive systems and will be a immediate impact player at the next level. Ranked 3rd overall as a LB recruit at College Football Today. 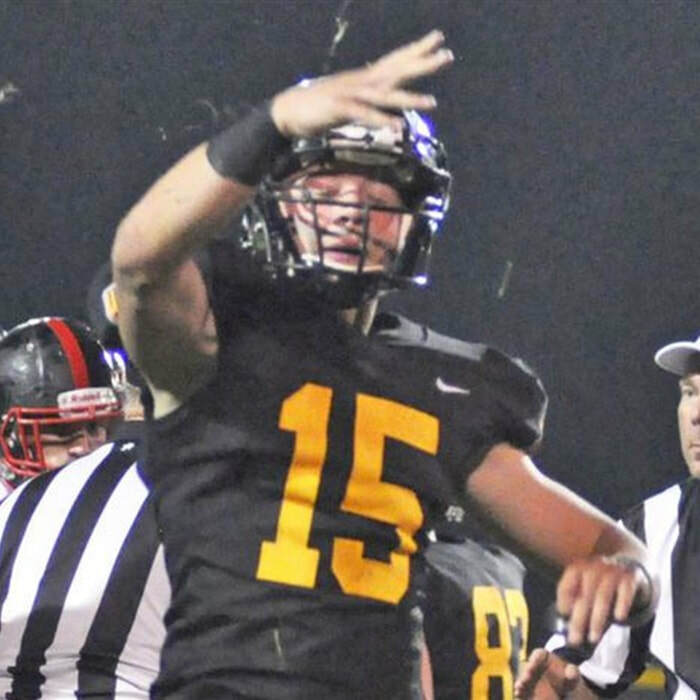 Player Notes - Player Notes - Wistar Allen is a freak athletic specimen out of High Point Christian, who has remarkable play and combine numbers. 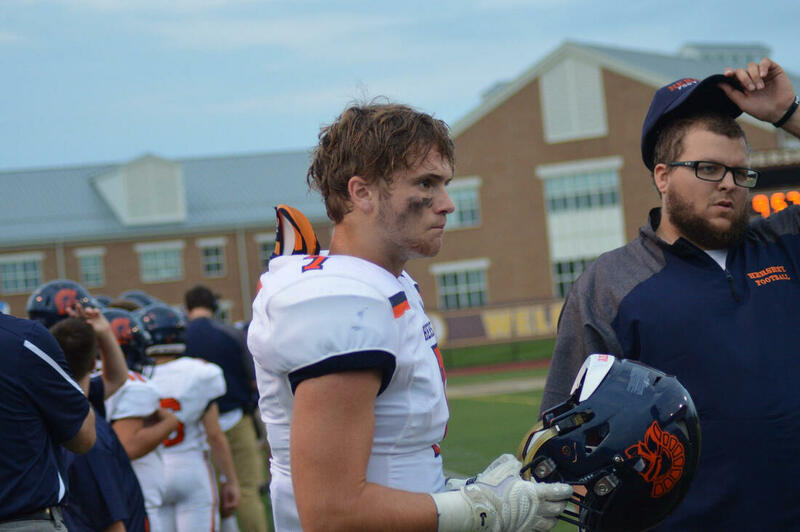 With the ability to bench press 225 X 24 reps and 4.5,40 1st team All-State speed at the Linebacker position, Wistar had 131 tackles and 9 sacks last season at High Point and he shows outstanding ability in pass coverage on tape. 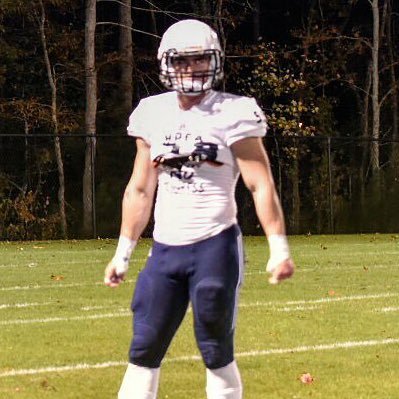 He has the best overall linebacker instincts I have seen in the 2020 recruiting class and is currently being ranked on our 2020 LB recruit rankings at College Football Today. 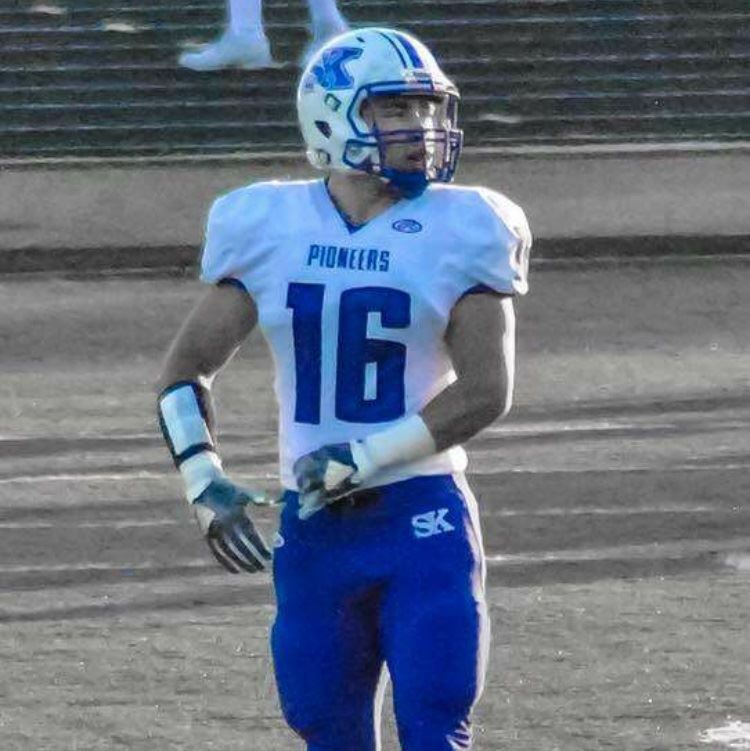 ​Player Notes - Ethan Beffert is a extremely physical Hybrid OLB/DE out of Minnesota and has some of the best finesse moves I have seen in his class at the DE position. When you witness how quick Beffert is able to get off the football and how he is able to rapidly close in on the Quarterback. You start to see what could be the building process of the next JJ Watt. With very similar football characteristics in the ability to use his hands effectively in the trenches and combing his outstanding overall athletics, this young man's upside is out of this world when it comes to the skill set needed to excel as a Hybrid OLB/DE at the next level. Fill our a college football scouting profile at the best college recruiting website for NCAA Football recruiting. Check out all of our College Football Recruiting Profiles below at Scout Trout Elite LLC and visit College Football Today for National College Football Recruiting rankings.